EVERGREEN, COLORADO – Unnatural linking warnings via the Google Webmaster Tools are quite common now. A lot of SEOs and webmasters have been receiving such notifications through their GWT accounts. However, analyzing a site’s backlinks profile is not a cakewalk, particularly when you have tons of them. 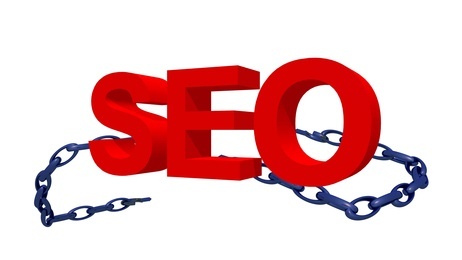 In any case, bad links (whether internal or external) can do serious harm to your website’s or blog’s search rankings. That’s why it’s vital to put things in order before you get the much-feared Google slap. Whether externally or internally, there are some specific types of backlinks that you should avoid at all cost. Given below are eight of such links that can quickly impact the rankings of your site negatively in search engines like Google. Whether it’s about linking out or getting linked, links have got to be relevant. After Google rolled out its Penguin update, link relevance has become an issue you can’t ignore anymore. Links that fall outside of your own niche are considered to be irrelevant by Google because they are not of any help to the user. What benefit does a blog that caters to the SEO industry intend to bring to its target audience by linking to or getting linked by an “obscure sport bike lights site,” for example? Trying to build backlinks from sites with a high page rank that don’t fall under your niche, therefore, is an unethical SEO practice. Whether you link to someone or somebody links to your site, link relevance must never be ignored. Period. Buying links to blast your way to the top of Google search engine results is a serious SEO crime. John Mueller, a popular Googler, made it quite clear that if you have been buying links for the last three years, you should go back three years and get those paid links removed. John further advised not to wait out search rank penalties, as it can take months or years to recover. Link farming is a technique that’s used to create tons of backlinks for a site over a short span of time. The fact of the matter is that the aforementioned technique has only one goal – to build backlinks. While using the link farm technique, pros create a network of websites hosted with different Web hosting companies. The main purpose of building this entire network is to quickly build tons of backlinks. For this very reason, link farms are at the top of Google’s hit list. It happens that a high percentage of external links are broken or dead over a period of time. Or else, links that you published a long time back do not lead to the same content anymore. Whether links are broken internally or externally, they put a damper on the overall quality of your site. Though a couple of dead or broken links may not actually bring trouble, they can be the cause of a site’s loss of rankings when they accumulate. So don’t get your site’s SEO devalued by having too many broken links. Keep a regular watch! For checking website URL errors, you can log into your Google Webmaster’s account and click “Crawl Errors” under the Health section in the left navigation. Anchor text has been manipulated for years. It’s due to this ongoing manipulation that Google began to take on this seriously. If you repeat anchor text only for the sake of appearing at the top of search engines like Google, you should expect a Google penalty anytime soon (if you aren’t hit yet). To avoid such penalties, you should always remember to add as much diversity to your anchor text as possible. Quit obsessing over the money keywords. This is something that not many webmasters know. There are several cases where a site was penalized only because it had too many links pointing back to its domain from one single source. To make your site’s backlinks profile look natural to search engines, adding variety is one of the key things you can do. It’s a good idea to get links from .net, .edu, .com, .org and country-specific domains to make your site’s backlinks profile more robust and natural. Beware of bot-powered directory submissions! Mass submitting your site to hundreds or thousands of junk directories to loophole your way to the top of search engine results is now history. Most of the generic website directories are already dead, i.e. de-indexed by Google. “Once you get beyond the top tier (Yahoo, Business.com, DMOZ etc), are there any directories that are worth being listed in? It depends. First, you want to navigate to the directory page you are likely to be listed on, copy that URL, and search for it in Google. Look for the cached date to see when the page was last crawled. The longer it has been, the worse it is: anything more than 45 days is trouble, anything more than 75 days is a real danger sign,” says Michael Gray of the Wolf Howl. Getting backlinks from directories that nobody uses doesn’t improve your SEO in any way. You might have heard about the fall of Build My Rank, a popular blog network. It was pulled down by Google on March 19. Google is in a war against anyone or anything that tries to manipulate its search rankings. Therefore, it’s highly recommended not to use any similar blog or link networks for building too many links overnight. Relying on a single blog network for your site’s backlinks is an entirely bad decision. Did you analyze the backlinks profile of your site yet? Please feel free to talk back in comments. I had gone through the webmaster tool and found my website has been getting 1532 links from a single domain. But I never put my website links on other websites. How is this possible? Can someone suggest if backlinks ( natural ) from informative blogs on WordPress and Blogger support Google guidelines? Thanks for sharing nice info about bad links. I was wondering (talking about #6) if someone can get hurt always commenting on a blog entries? This was incredibly helpful, and exactly what I was looking for. I was headed towards making a few of these mistakes. It looks like I will have to rework my plans. Thank you for the info! This is damn interesting facts about the links. After reading this i am also going to applying these thing on my websites. I am also facing a problem like fall of the page rank. Thanks to share this info with us. Undoubtedly, this post has valuable information about too many links of whatever quality. Unfortunately, I could not get my question answered. The question is \”Are too many inbound links (developed over time) the cause of a poor ranking of a site? The site has nothing outside of its context with the contents being fairly relevant to its niche. I have 15 competitors that keep my client from being on the first page for certain keywords, and they ALL employ these link farms, irrelevant links, building massive amount of links in a short amount of time, and it goes on and on – black hat galore. But why are they still ranking? Sometimes people get into SEO too much and stop thinking about what is normal. If a site is popular people will be post it on a lot of irrelevant sites, why is it harmful? It\’s rather quick solutions that are a risk rather than the method. Isn\’t external ads paid links by definition even if search engines don\’t see all? Navigations and equally things are repetitive, why is it harmful? If my site become popular on a community with a lot of links (Facebook or equal), why is it harmful? Hey there, You have done an excellent job. I\’ll certainly digg it and personally recommend to my friends. I\’m confident they\’ll be benefited from this web site. Well, it seems that I have a lot of work to do tonight. I dropped from a PR3 to a PR2 simply overnight. When using Majestic SEO, I see that only 356 domains are pointing over 19,000 backlinks…that has to be bad. Wow, beautiful info on bad backlinks! Thanks man!